Another big announcement has been made by Bahria Town’s management today. It’s a good news for all those who have invested in Bahria Sports City Karachi. Bahria Town has revealed the date of delivering the possession of villas and residential plots. Because lately, they’ve planned to handover the possession of villas and residential plots in 2020. 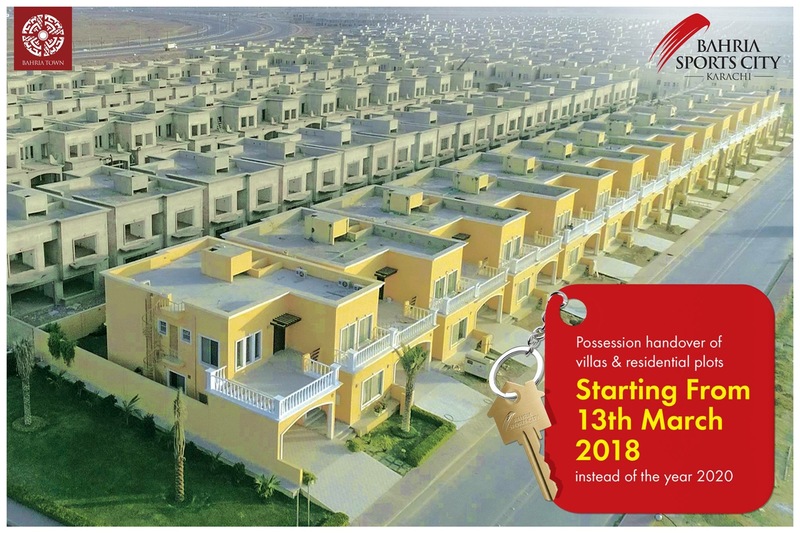 So, the date of delivery of the possession of villas and residential plots will start from 13th March 2018. The possession includes 350 square yards 4-bed luxury villas and 250, 500 and 1000 square yards residential plots. Moreover, the construction of villas and project development work in completion stage. Here it says sports city precinct 41 to 45 are cancelled and you are talking about possession?